2014-S3pac, 2014 ALA U.S. Spring Charity Seal Easter Fund Packet, R14EFAS10, MNH. Issued 2014. Fund raising packet from the ALA, which contains one sheet of 2014-S3x Spring Seals, Special Occasion Stickers & Address Labels, 2014 Calendar, Note Pad, and a 2014 Easter Fund Campaign Letter and a return envelope. 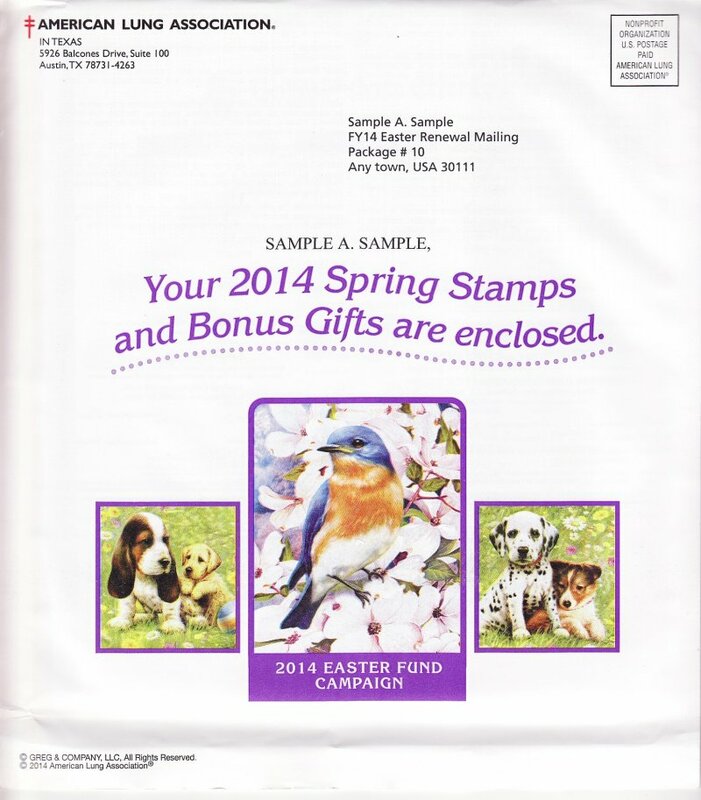 2014-S3pac, 2014 ALA U.S. Spring Charity Seal Easter Fund Packet, R14EFAS10, MNH. Issued 2014. Fund raising packet from the ALA, which contains one sheet of 2014 Spring Seals (2014-S3x), Special Occasion Stickers & Address Labels (2014-S3.6x), 2014 Calendar (CL114-S3), Note Pad (NP114-S3), and a 2014 Easter Fund Campaign Letter and a return envelope.